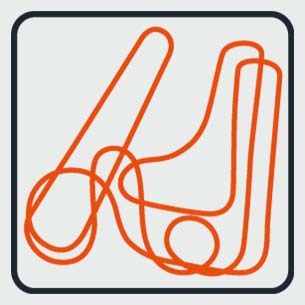 Our Spinning Cars seat four persons and travel through the track as independent, rotating units. 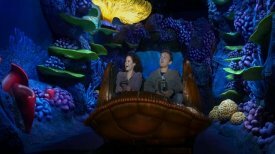 The passengers sit back to back, separated by a bucket seat which prevents exposure to uncomfortable levels of stress during the turns. 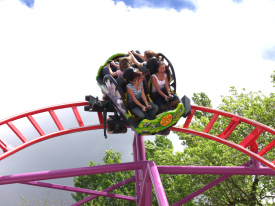 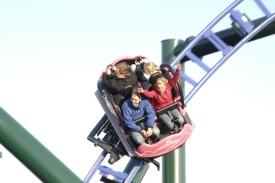 Looking outward from the centre of rotation over the front panel of the car gives passengers that extra kick – you won’t find a more direct or intense family coaster experience anywhere! 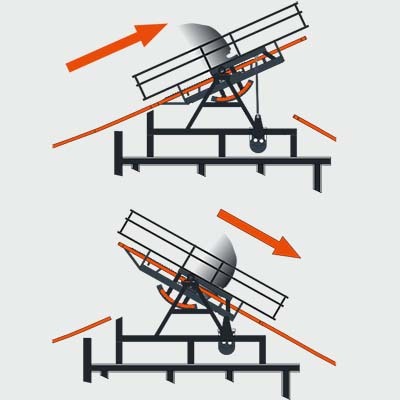 A pivot bearing between the passenger car and the undercarriage converts the centrifugal forces generated in curves into rotational movement. 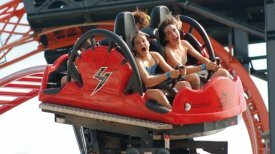 This results in an entirely different ride from the one before, every time. 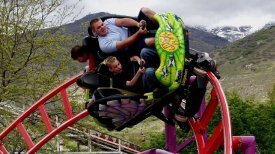 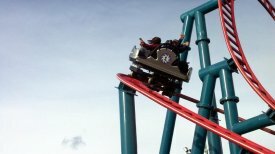 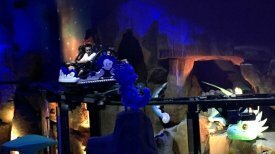 The coaster is ideally suited for adaptation to a theme, as the roller coaster cars offer a wide variety of possibilities for customizing. 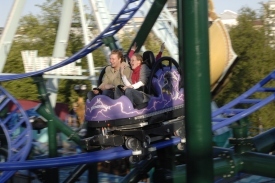 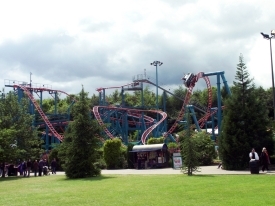 Maurer features unique mechanical special effects that take the passengers totally by surprise: The car stops suddenly and seconds later the ride continues in a different direction. 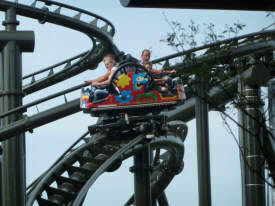 These special elements include Seesaw, Drop Track and the vertical Express Lift. 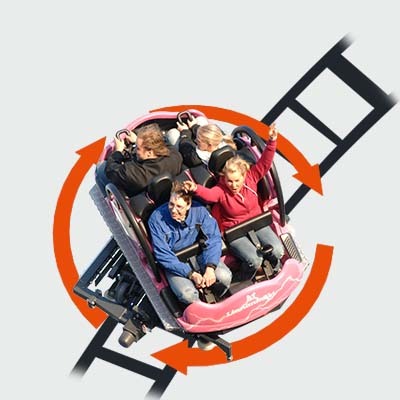 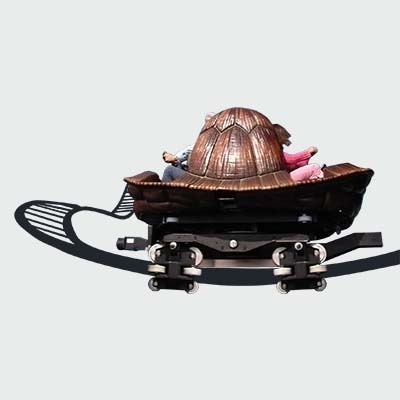 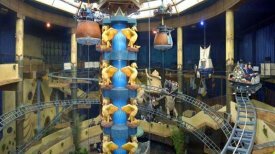 Its tight curves and compact layouts make the Spinning Coaster the perfect match for bounded areas in parks as well as all indoor applications, from family entertainment center to shopping mall.